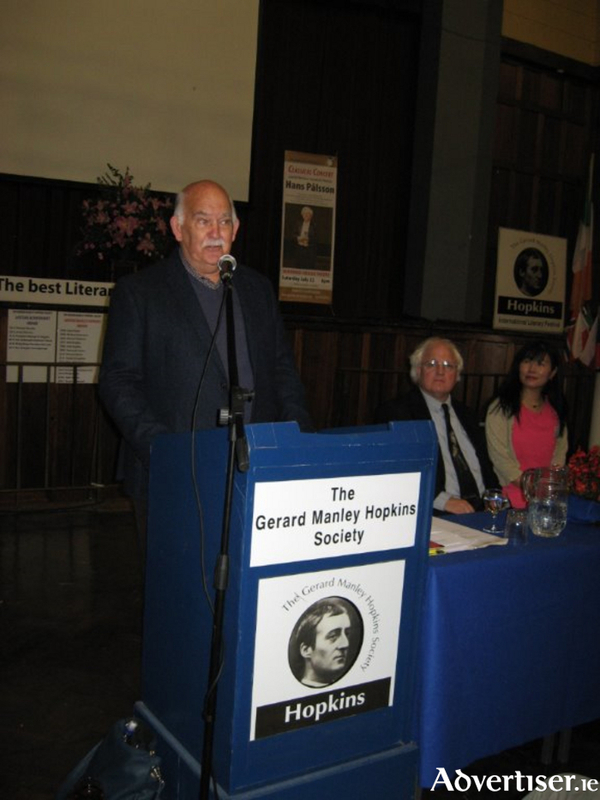 Athlone-based James Whyte was this year’s recipient of the James McKenna Award at The Gerard Manley Hopkins Society’s 30th International Festival, which took place in Newbridge College from July 21 to 27. The award is made by the festival’s organising committee in recognition of Mr White's sustained and significant support of the festival during its 30 years of existence. The artistic director of the festival is well known Athlone-born poet Desmond Egan, who has won many international awards for his poetry. The week-long festival celebrates the writing, interests and philosophy of Gerard Manley Hopkins and has been described as "the best literary festival in Ireland" by the editor of the Oxford Companion to Irish Literature. Gerard Manley Hopkins taught classics in Ireland from 1884 to 1889 and wrote many of his best and mature poems in Ireland. He is buried in Glasnevin Cemetery, Dublin. Writers, academics, artists, and new enthusiasts, inspired by Hopkins’ innovative poetry, converged on Newbridge College Theatre to enjoy the 30th year of celebrating his writings. There was a feast of poetry, painting, music, the arts, philosophy, and conservation. The very popular youth programme, for participants aged 15 to 17, ran in parallel to the main event.